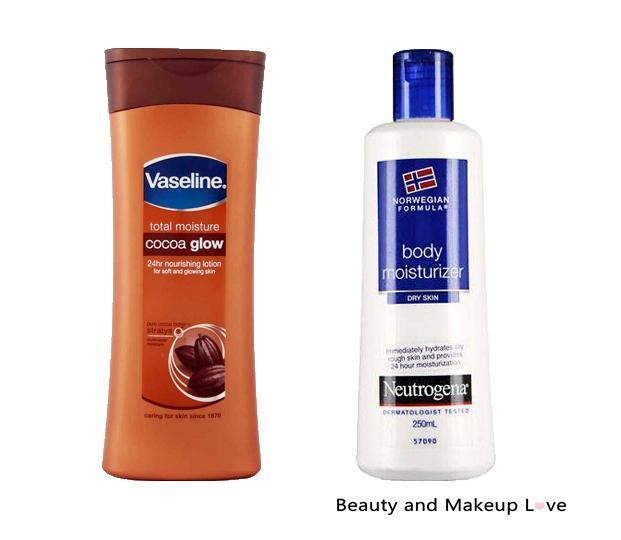 The Vaseline Total Moisture Cocoa Glow Nourishing Body Lotion is surely one of the best and affordable body lotions for dry skin in winters. It is of a medium consistency and smells heavenly of cocoa butter (if you are a fan of cholocates, you are gonna love the smell of this body lotion)! While you slather it on the body, it generously nourishes and hydrates the skin and feels soothing on the skin. The lotion will also make the skin soft and supple with regular usage and gets absorbed as soon you apply it. It leaves behind a nice coating of hydration which is great for dry and parched skin. It also works great for itchy skin! It will keep the skin moisturized for around 6-7hrs in winters. For the price it comes at, it works like a magic for dry skin! Neutrogena has always been a wonderful brand for skin care (be it its amazing hand cream, sunscreen or its lotion) and this Norwegian Formula Body Moisturizer is a great option for winters. It has a thick consistency of a gel-cream and is white-translucent in color. The moisturizer spreads on the skin like a dream and blends very easily. It instantly makes the skin soft, supple and adequately moisturized. It has been formulated with such ingredients (like glycerin) that hydrates and soothes the dry or rough skin for a smooth, beautiful look. The fragrance is mild as well as soothing. Thus, it is surely one of the best body lotions for dry skin. The longevity of the body lotion is around 6 hrs after which you’ll need to re-apply it! 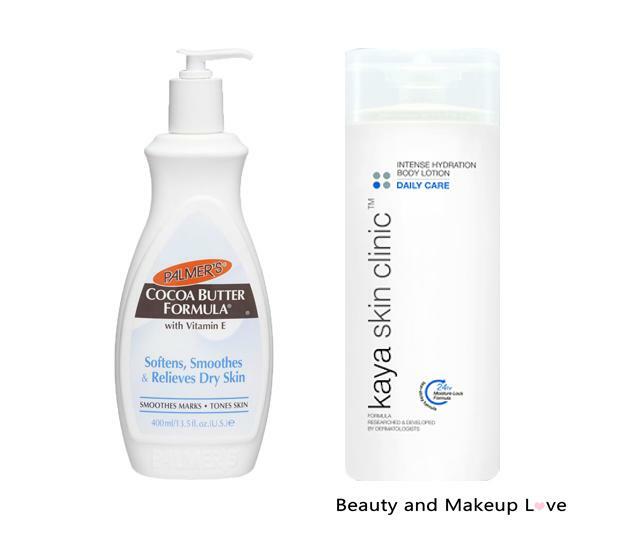 The Palmer’s Cocoa Butter Formula Body Lotion is perhaps the most raved about body lotion for dry skin. It works excellently for all skin types and is also available in a fragrance free formula. It gets absorbed quickly when you massage the product into the skin and the ingredients will also help to lighten the stretch marks along with moisturizing the skin. The skin feels toned and nourished with the formulations of pure Cocoa Butter, Vitamin E along with other emollients! It also works in healing the dry skin. Thus the antioxidants are great for body skin in winters. 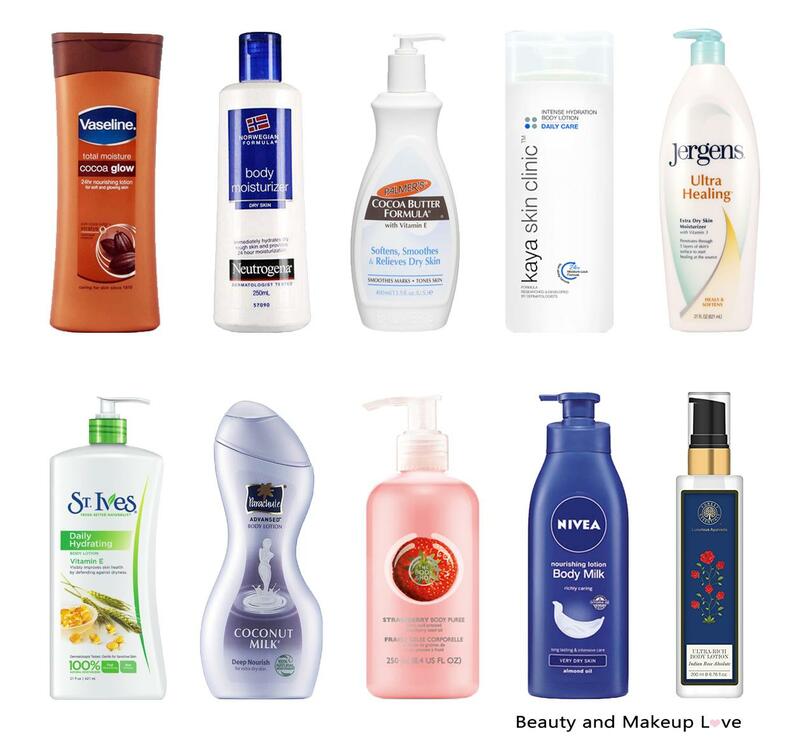 The longevity of the body lotion is around 7-8 hrs. Kaya Skin Clinic Intense Hydration Body Lotion is white milky-translucent in color with a medium runny consistency. Even though it is for intense hydration, it gets absorbed into the skin very quickly and let the skin breathe on its own. It is smooth, soft and non-sticky in nature yet being enough hydrating for dry skin. The skin feels nourished and hydrated at the instant and the soothing fragrance will stimulate the nasal senses for sure. 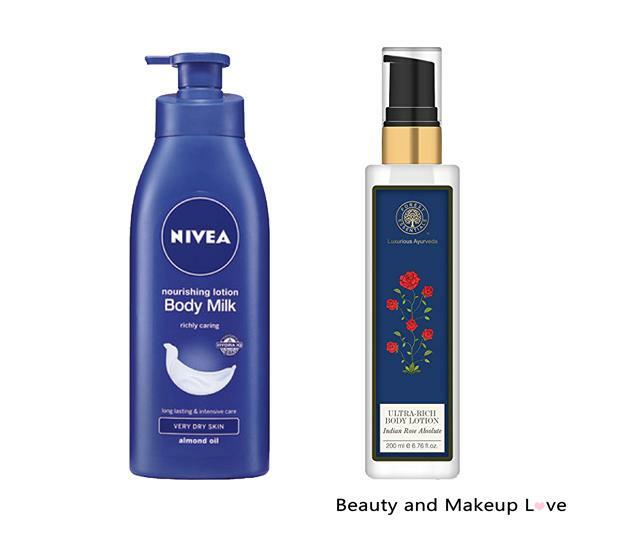 The lotion is formulated with the goodness of Shea and Kokum butter to replenish and restore the essential oils to skin that is dry and irritating. However, it has parabens which we don’t like about it! The longevity of the body lotion is around 6 hrs. 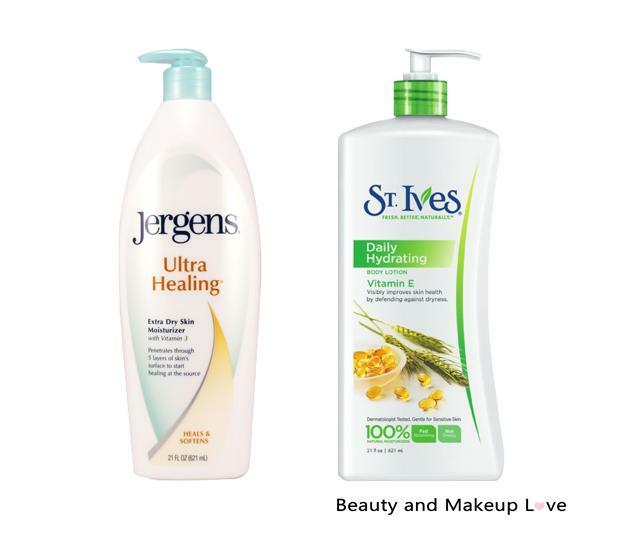 Jergens Ultra Healing Body Lotion is white in color and has a mild fragrance. It has a smooth, non-sticky texture with a thick mousse like creamy consistency. It helps to penetrate deeper into the layers of the skin and replenish the skin for around 8-9 hrs which is really good. 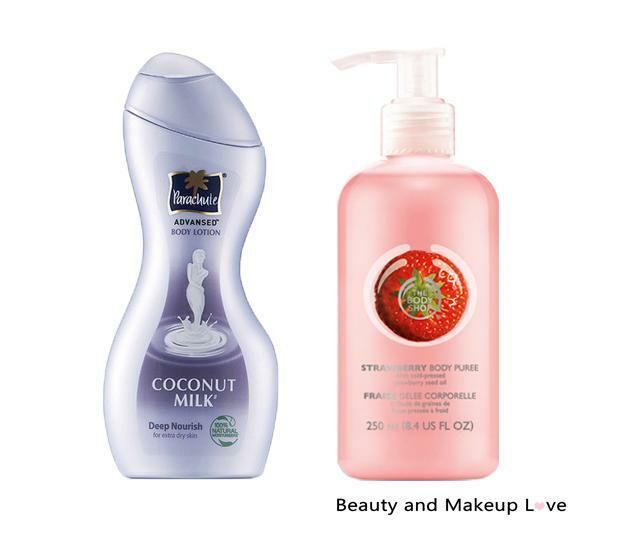 It is fast-absorbing body lotion goes deep into the skin’s surface to lock in moisture even when you are stepping out. It is formulated with the goodness Vitamins C, E and B5 and other emollients like glycerin and petroleum and smoothens the skin with the passage of time. However, it is loaded with parabens which is certainly a con! Even Jergens Shea Butter Deep Conditioning Moisturizer is an excellent moisturizer for dry skin! St. Ives is a well-known brand for skin care and the Daily Hydrating Vitamin E Body Lotion is the right pick for dry skin. It has a nice aroma and lingers for a while. The product is white in color with a texture and consistency being creamy and thick. Even then it is readily absorbed and eases out the dryness at the instant. It is formulated with two enriching kinds of vitamin E (tocopherol and tocopheryl acetate) and shea butter for an antioxidant boost and relieves the flaky skin for a longer duration, around 8 hrs to be precise! It is also a great product for sensitive skin as it is enriched with 100% natural moisturizers and emollients. It also contains glycerin and soya bean oil which is an added bonus! A skincare list is incomplete without TBS. Don’t you all agree? Well, we are sure you do! The Strawberry Puree Body Lotion from the house of TBS offers potent but soothing and nourishing skin care, especially for dry/extra dry skin. It has a beautiful baby pink color with an unusual texture and consistency in-between that of a lotion and a cream. Nevertheless, it spreads easily on the skin and feels hydrating. It is not at all heavy but nourishes the skin like no other. It works great for normal to dry skin and imparts a notable mild fragrance that linger for a good time. The hydration effect stays for about 6-7 hrs. It is formulated with the goodness of Cold-pressed strawberry seed oil and Community Trade honey from Ethiopia. The Forest Essentials Indian Rose Absolute Ultra Rich Body Lotion is white in color and has a light weight and thin lotion like texture, although the consistency is on the medium thicker side. It gets absorbed in a jiff but the nourishment and hydration is extremely good. It gives a rich and moisturizing feel to the skin and makes the skin supple and soft. It is formulated with the goodness of rose essential oil and burnt Cane Sugar, a humectant which attracts and seals moisture into the skin. even though it is on the pricier side, the lotion is worth having for dry skin.